Pharmaceutical companies are partnering with machine shops capable of producing ultra-high tolerance parts for enhanced reliability. To safely produce reliable, life saving drugs with consistent dosing, the pharmaceutical industry often requires machined parts of exceptionally high tolerance and complexity within its production equipment. The difficulty is that most machine shops – even high precision operations – typically machine parts down to .001” tolerance. However, when ultra-high tolerance parts (up to .0001”) are required, a significant number suddenly enter the “no bid zone” where contract part manufacturers pass on jobs that are too difficult or beyond their capability. “Many machine shops will not bid on an ultra-high tolerance part because they are concerned about the amount of time and effort it will take to meet the required tolerances,” says one longtime engineering manager at a pharmaceutical company that designs and builds its own equipment for filling and packaging. Fortunately for pharmaceutical equipment manufacturers with complex components in the “no bid zone,” there are machine shops capable of producing ultra-high tolerance parts consistently. 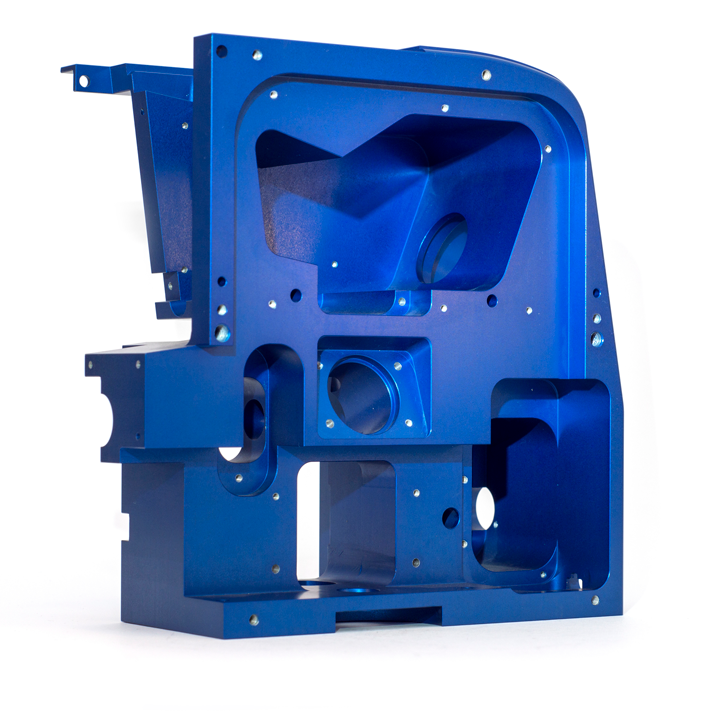 When they do, it is not usually a matter of having superior CNC equipment, but rather a combination of experience along with a knowledge of unique challenges of machining and inspection required to hit the mark every time. When pharmaceutical production equipment is used to handle, mix, process, and package medications in precise quantities, the CNC machining of the component parts must also be excruciatingly precise. This includes parts with tolerances down to .0005” and sometimes less, machined out of 316 Stainless or exotic metals such as titanium, Invar, Kovar, and Nitronic 60. However, an increasing number also want high tolerance parts that are made out of ceramics and plastics like PEEK. To avoid the substantial downside of dealing with failed parts, pharmaceutical engineers send higher tolerance work to machine shops with proven background handling such items. One example is Newark, CA-based Silicon Valley Machining (SVM), a shop that has specialized in ultra-high tolerance precision CNC milling and turning services as well as CNC 5-Axis prototype manufacturing since 1997. While the company offers services from prototyping to high volume, “lights out” manufacturing, its focus on consistently holding extremely high tolerances down to +/-0.0001” is typically the reason pharmaceutical equipment manufacturers seek them out. “We go to SVM because they will machine really difficult parts that many other firms will turn down and not even bid,” says the engineering manager. “This includes both round and tapered parts with tolerances in the range of .0001” to .0002”. To ensure that ultra-precise tolerances are achieved on every part, state-of-the-art quality control systems must also be in place. In the case of SVM, the company’s measuring equipment includes a Zeiss Contura G2 with scanning coordinate measuring machine (CMM) capability for inspection down to 0.00005”, a MicroVu Vision System with 575x magnification and a Starret 14” Digital Comparator with 50x magnification. Serpa says ultra-high levels of precision may even dictate that the same style and brand of inspection equipment be used on both ends. “To enhance reliability and ensure an ‘apples to apples’ comparison, we have even had to purchase inspection equipment that matches what our customer uses in their facility,” says Serpa. Even the way each part is handled and moved from point to point can affect how accurately it is measured. In some cases, a short period of time may even be required so parts can acclimatize to a new environment. “QC inspectors have to not only tell the machinist if the part is to print or not, but work with them to solve issues in manufacturing that are contributing to the parts not passing,” explains Serpa. “This is not the standard mentality in the industry; it is a different skillset, level of work and responsibility,” explains Serpa. Since the pharmaceutical industry must maintain safety at all stages of production, the hygiene and cleanliness of production equipment components is a top priority. In another example from the pharmaceutical industry, the ability to easily disassemble and clean equipment was a major consideration. Part count reduction and tool-free assembly are also high-priority design goals, which often led to fewer – but more complicated – parts. Many of the parts were also very high tolerance because they were part of precision mechanisms. Other parts needed high precision to fit together well and ensure that the custom filling equipment would not allow any product to leak. According to Serpa, the components SVM delivered were generally made of 316L or 630 stainless (commonly known as 17-4), along with a few made of PEEK or Acetron GP. High precision plastic and steel parts were used together to allow trouble-free motion guidance in an environment where lubrication is not permissible. For such a demanding application, Serpa suggests it is critical that the customer understands the value added in engaging in an ongoing collaboration with their vendor. “As a result of the collaborative process, we are able to discover together how to make extremely complex parts more accurately and reliably,” explains Serpa.